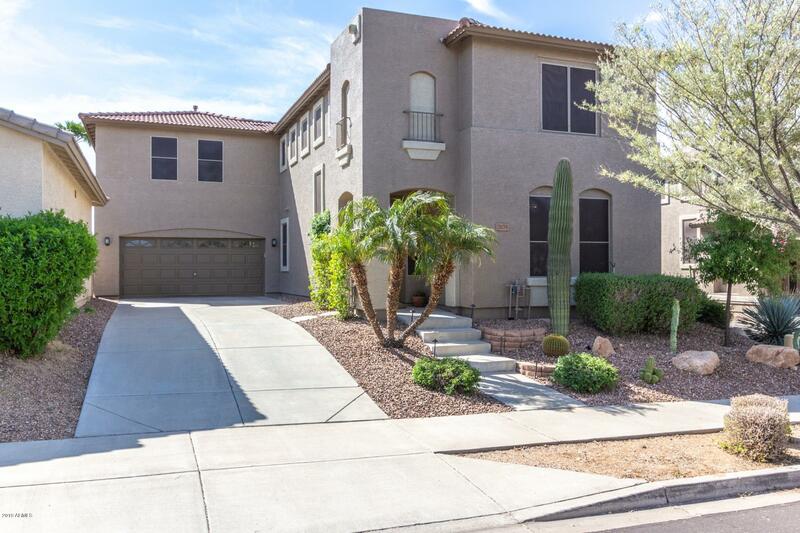 Home is meticulously cared for from start to finish, boasts 4 bedrooms, den, loft, 3. 5 baths. Elegant upgrades, neutral paint, diagonal tile flooring. Gorgeous plantation shutters throughout home, office/den with french doors to right of entry next to half bath. Two master suites; large luxurious master suite is on 1st level with exit to pool. Master bath is complete with separate raised dual vanity sinks, soaking tub, large walk-in closet with built-in drawers and shelving along with additional closet. 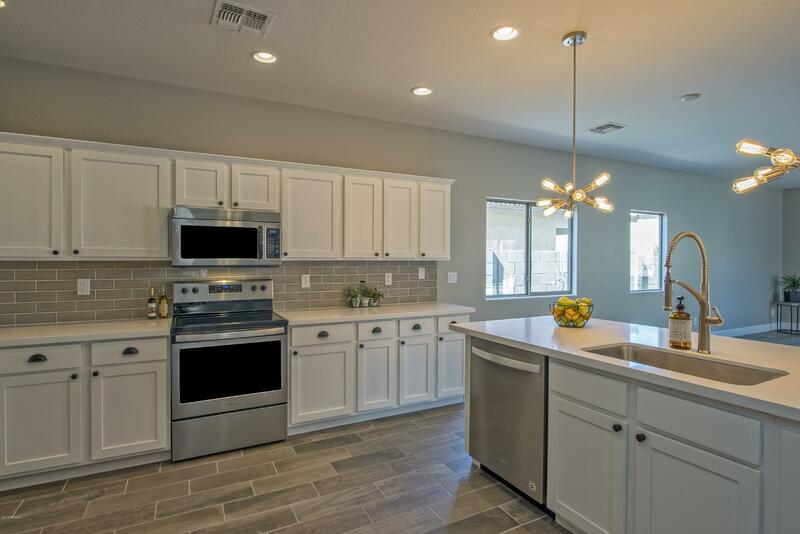 Dream kitchen has dual ovens, easy care quartz slab counters, custom back splash, oversized center island w/sink, loads of staggered cabinets as well as butler pantry and large walk in pantry. 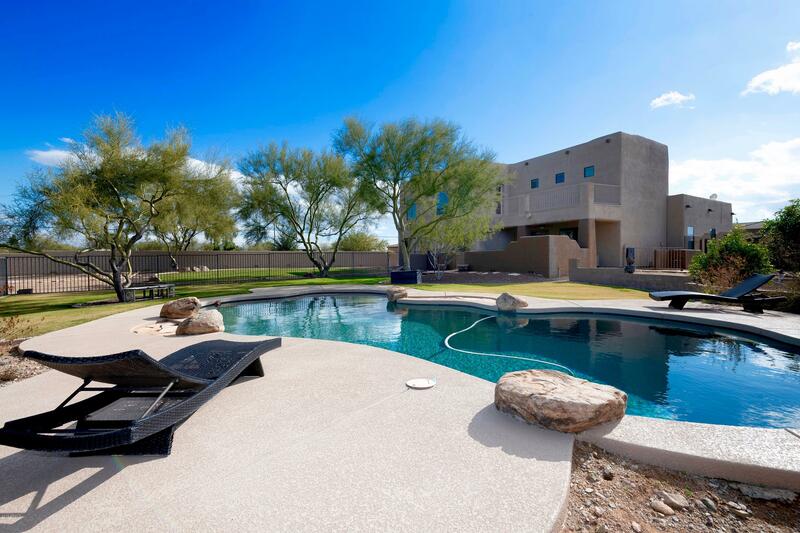 Spectacular tramonto home - surrounded by north phx natural landscapes & views. 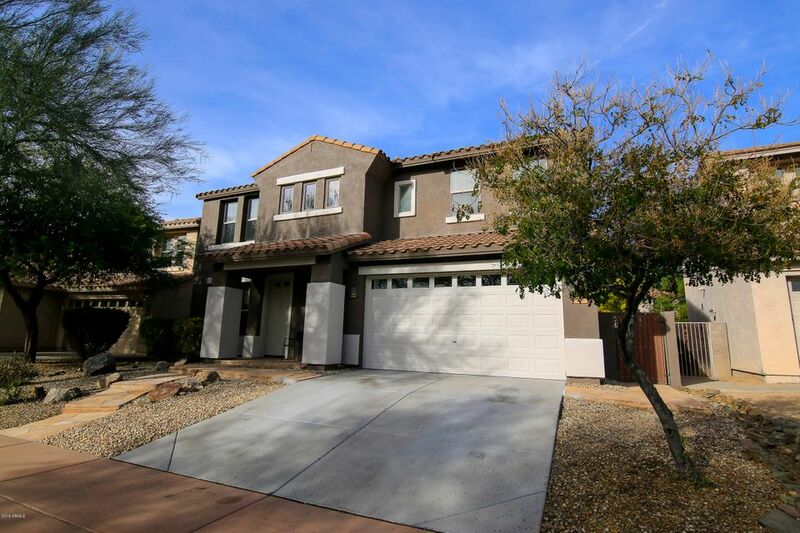 4 spacious bedrooms, 3 baths, den, & 3 living spaces including a spacious upstairs loft. Oh, and a north facing patio, sun room, 3-car garage and sparkling play-pool! Gourmet kitchen w/staggered cabinets, granite counters w/oversized center island, gas range, stainless appliances, recessed lighting, glass back-splash, & crown. Formal dining + space for a table in kitchen. Flooring updated w/ hand-scraped wood floors & custom 12x24 tile. Built-ins galore with tons of extra storage. 2 brand new hvac systems in 2018, also, new ro system, soft water systems and variable speed pool pump - all new in 2018 as well. Owners have taken care of some big ticket changes. Come check out this lovely well-maintained home! This is a beautiful home with many energy efficient smart options! 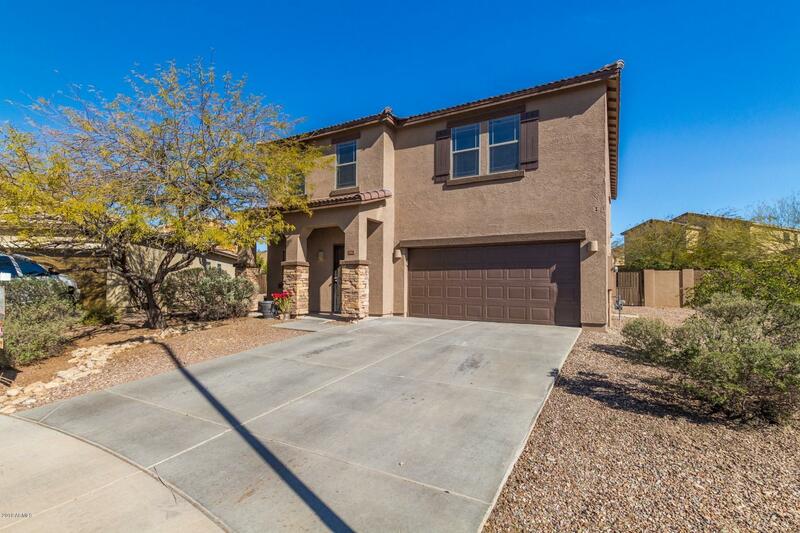 Lovely hardwood floors, neutral color palette, office located off the front door, open concept family room has an inset feature wall with recessed lighting. The kitchen has white custom cabinets, granite counters, breakfast bar, ss appliances, breakfast nook. Upstairs is a large loft/media room, spacious master. The master bath has double vanity, seperate tub and tiled shower. 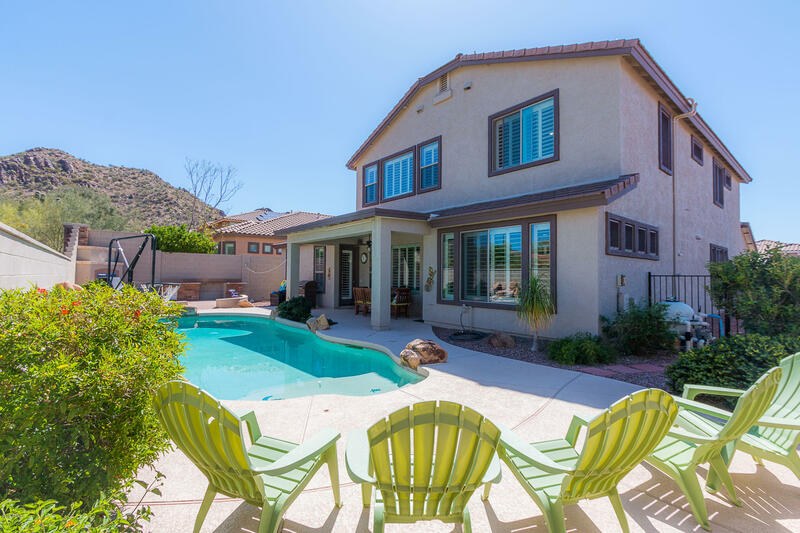 Backyard has covered patio, sparkling pool and smart watering system. Kuna smart security lights with camera surround the home and are watchable from anywhere. Close to shopping, dinning and i-17 freeway. 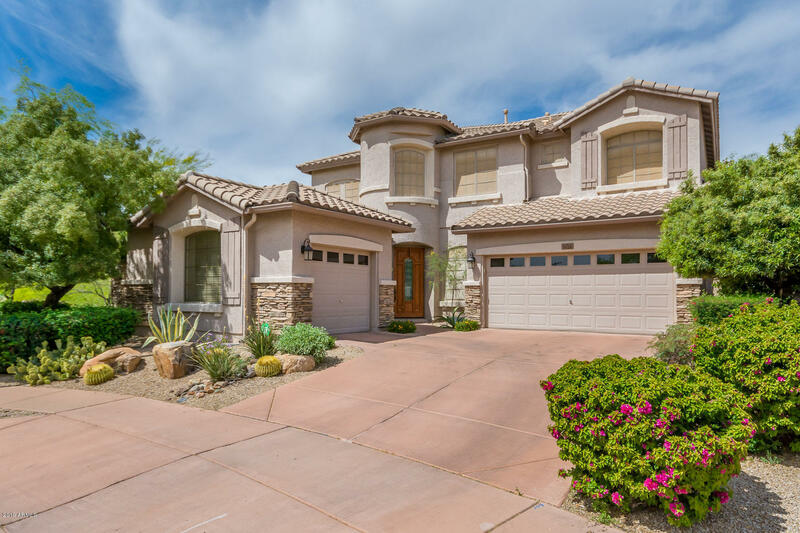 This home is perfect and will go quickly. Call for a showing today ! This is your hgtv home remodel in tramonto! You will need to hurry to see this home today! This is a gorgeous 5 bedroom, 3. 5 bath, loft and 3 car garage. This home that has been completely updated from floor to ceiling. Beautiful wood tile floors throughout the downstairs. New carpeting throughout the rest. An amazing open kitchen overlooking the family room with white cabinets, granite counters, stainless steel appliances and subway tile back splash. This home includes a living room, dining room, and side courtyard perfect for additional outside entertaining. The backyard is complete with firepit and grassy backyard.